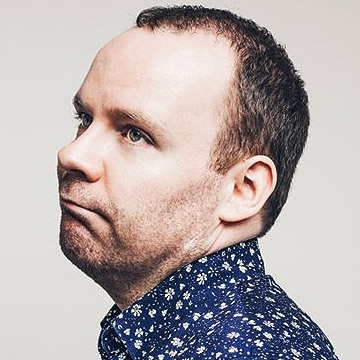 Award-winning comedian Neil Delamere is one of the top acts working in the Irish comedy scene today, well known to audiences for his regular television appearances on RTE and the BBC as well as his hilarious sell-out stand up tours. With stellar reviews as well as a number of platinum-selling DVDs under his belt, Neil has turned his attention to comedy documentaries, writing and presenting IFTA Award- and Celtic Media Award-winning TV programmes on the Vikings and St. Patrick. His four part series on heroes from Ireland’s past, Holding out for a Hero, was recently broadcast as part of RTE 2’s autumn schedule. Never one to sit around, Neil is also back in the hot seat with The Blame Game, the perennially popular BBC panel show.